A daring new dimension in luxury. With intensity and power, Ghost, Dawn and Wraith Black Badge are built to perform. These imposing motor cars radiate an inner confidence – which is perfectly reflected in their athletic and self-assured performance. The Black Badge model range delivers the most potent driving experience. Sculpted to perfection and pure in form, their muscular prowess hints at the sheer power that lies within. Just as day turns to night, Rolls-Royce Black Badge offers true transformation. A thrilling surge of power that sharpens the senses. Liberate the rebel within. Embrace the darkness. Appearing on the horizon, the Spirit of Ecstasy gives the first glimpse of what is different. This most famous of emblems has been cloaked in the boldest, deepest hue: black. The distinctive Rolls-Royce grille continues this new, bold tone as elements are transformed with high-gloss dark chrome to create the dramatic contrast against the LED headlights, emphasising an unrivalled presence on the road. The final statement of transformation is the striking 21” wheels. First there is a dark glint of carbon fibre. Then a halo forms around the Rolls-Royce emblem. Light gives way to dark. A bolder side takes over. Behind the bold aesthetics, effortless power lies poised. Rolls-Royce Black Badge possesses the raw energy and agility to forge its own course. Armed with a muscular 6.6-litre V12 engine and honed gearbox, both models are capable of searing pace. As the speed increases, intuition takes over. Movements become more responsive and tuned for accelerated handling. The Black Badge powertrain reacts to the driver and contact with the road becomes ever closer. With enhanced steering and emboldened suspension, Black Badge delivers an assured straight-line performance, whatever the conditions. Promising to thrill the senses and command attention. Inspired by you. Hand-built in Goodwood. 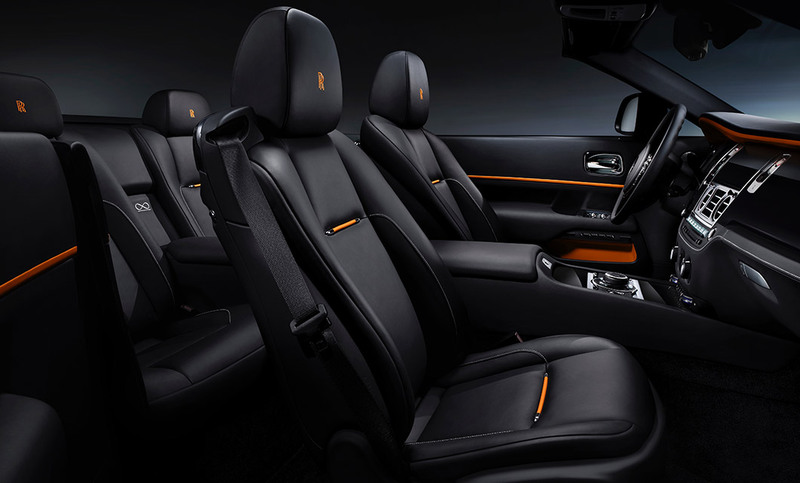 Create your personal Rolls-Royce Black Badge that’s inimitably and unmistakably yours. No statement too bold and no detail too intricate for our craftspeople, from hand-embroidered headrests to bespoke treadplates – or a personal, hand-painted monogram integrated into the coachline. Bring your Black Badge to life in the ultimate expression of self. Please call Rolls-Royce Motor Cars Birmingham or Rolls-Royce Motor Cars Bristol for further information. Interested in a New Black Badge?